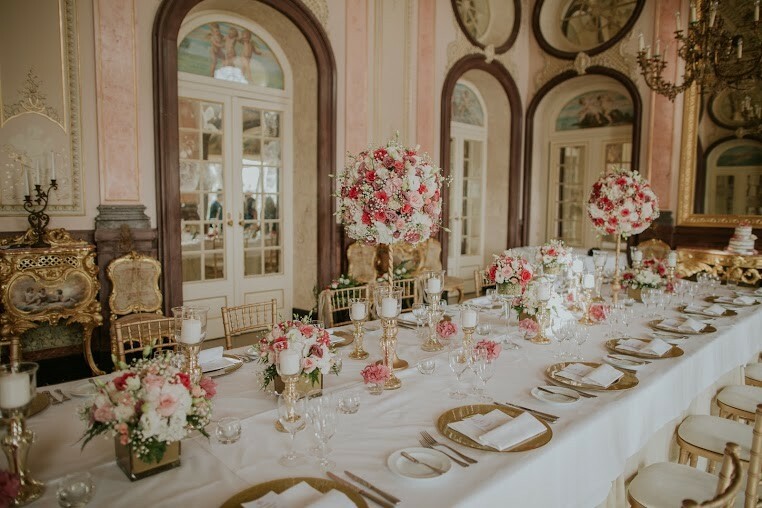 Dreaming about a Glamorous Wedding? You are in the right place. 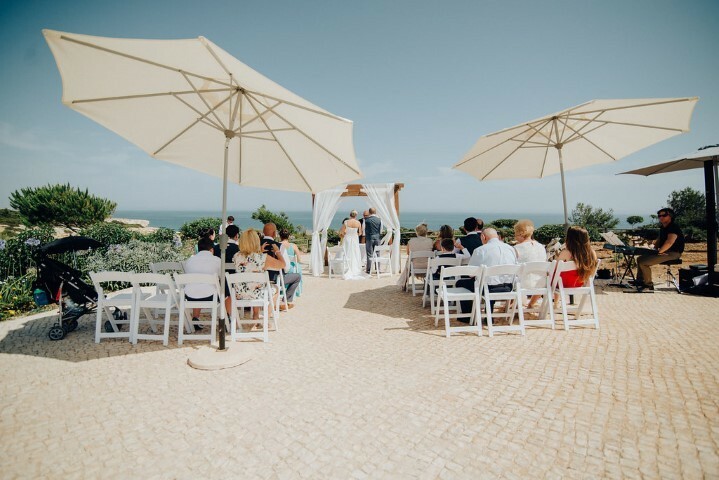 We will make your wedding dream come true in the amazing Algarve where the sun shines 360 days a year. 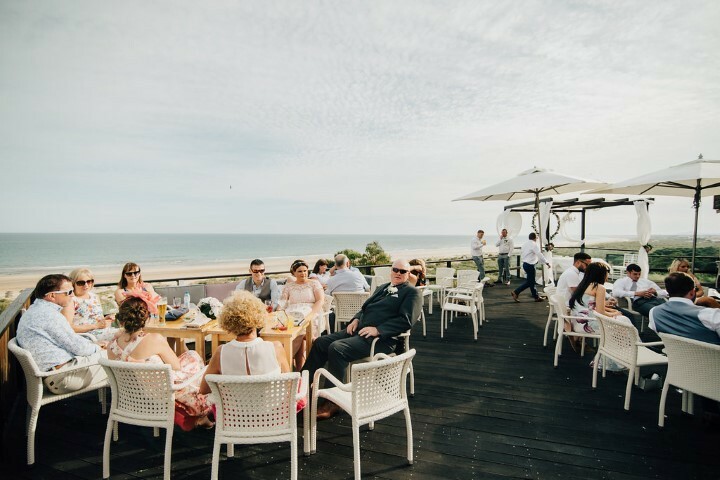 Here you will find beautiful venues, the best service and high quality food and drink. 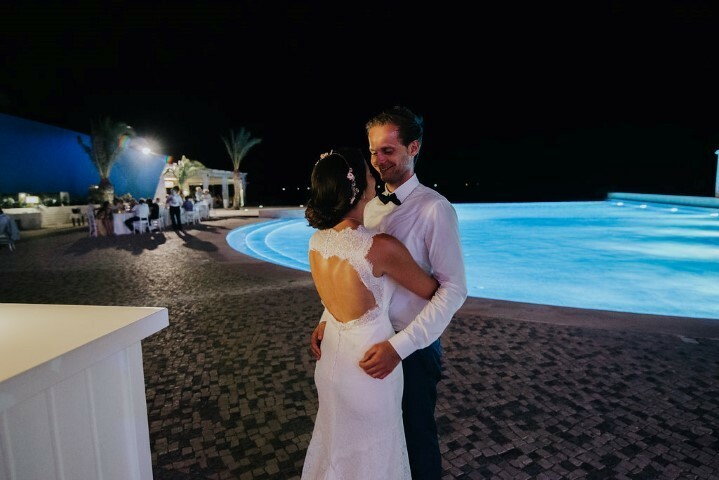 At Glamour Algarve Weddings we will take care of you and your guests to ensure that the most important day will be unforgettable. We work with the best suppliers from the region to make sure that you will get the best value for money. 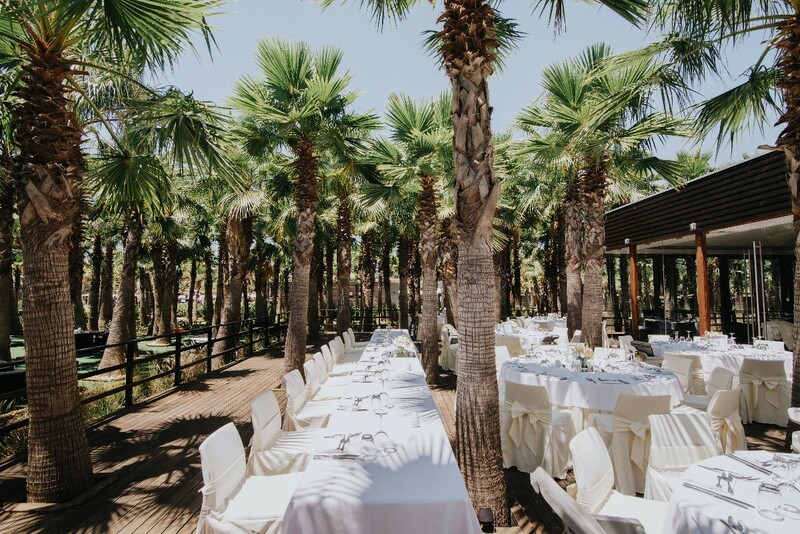 Our philosophy is to offer you a tailor made Wedding and a personalized experience, focusing always on the little details as we think that this is what makes the difference, this is what everybody will remember. Contact us now and ask for more info, we will be delighted to hear from you! 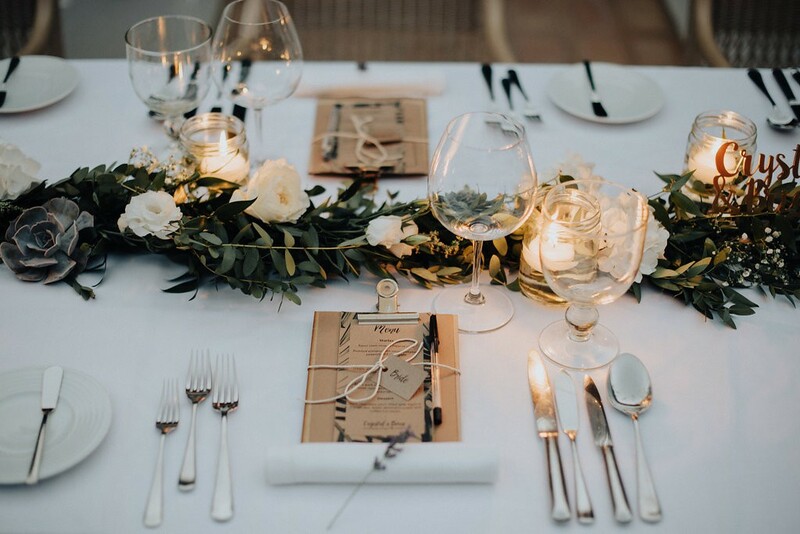 When we first met Patricia for our first meeting we knew instantly we found the right planners. After months of searching, meeting, and speaking with planners we knew Glamour was by far the best, and that they proved throughout and on the day. Their job was not just on the day, they were there for us for nearly two years of enquiries, help and advice. Throughout our time we were never, in any way, worried or anxious about our day. We had 100% confidence in Glamour and the team to pull off the best day of our lives and we were right. On the day, they had full control and we just happily cruised along and enjoyed the ride. Theyre planning and Co ordinating was almost invisible as as we just felt the day belonged to us. Patricia and Carin absolutely love what they do. They love making your wedding the best day of your life and they love your day as much as you do. They treat each and every wedding lie their own. They are so nice and so professional. 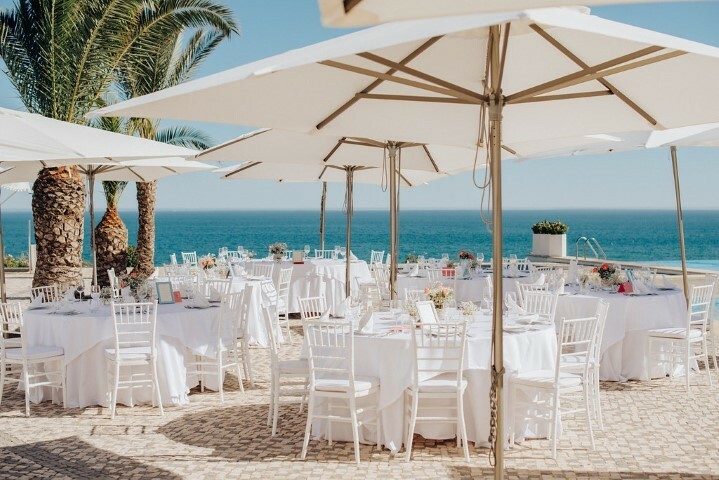 We have been telling everyone back home and on other sites that if your looking to get married, do it in algarve and let Glamour weddings take care of it for you. Amazing service, amazing professionalism, amazing packages. Thank you Patricia and Carin. Our wedding day was everything and more then we expected. 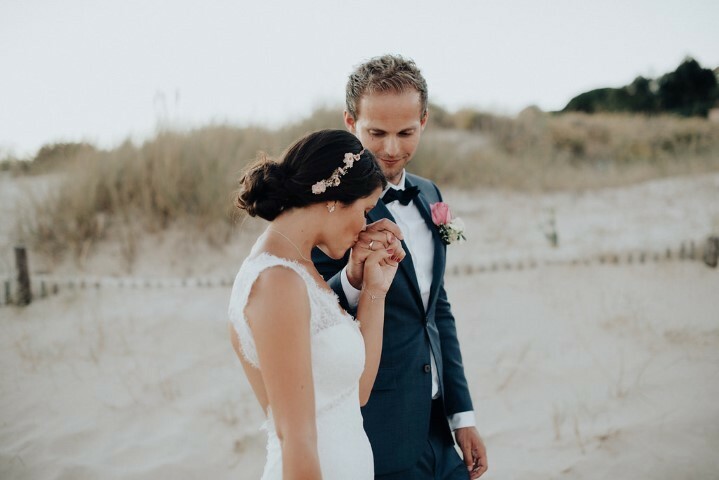 We got married on Tavira island right on the beach in the sand my dream since a little girl, and Patricia and Karin did an amazing job!! Thanks you so much for making our dream come true. The ladies at Glamour are absolutely amazing. My husband and I really couldn’t have asked for a more fantastic day. 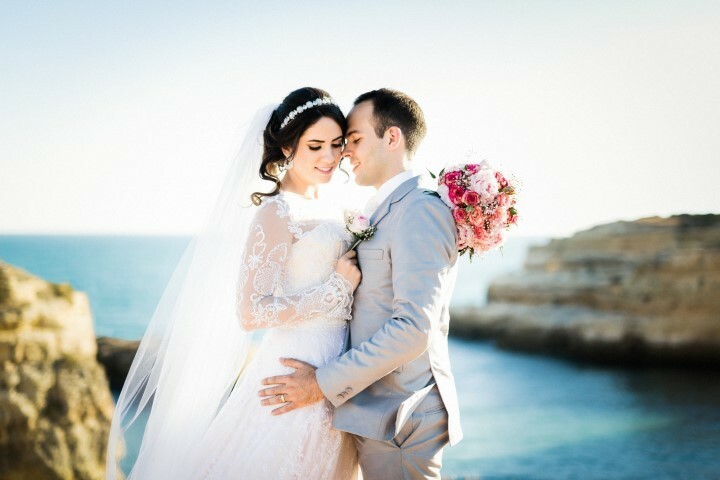 It was such an easy and enjoyable experience planing our day with Carin and completely stress free. 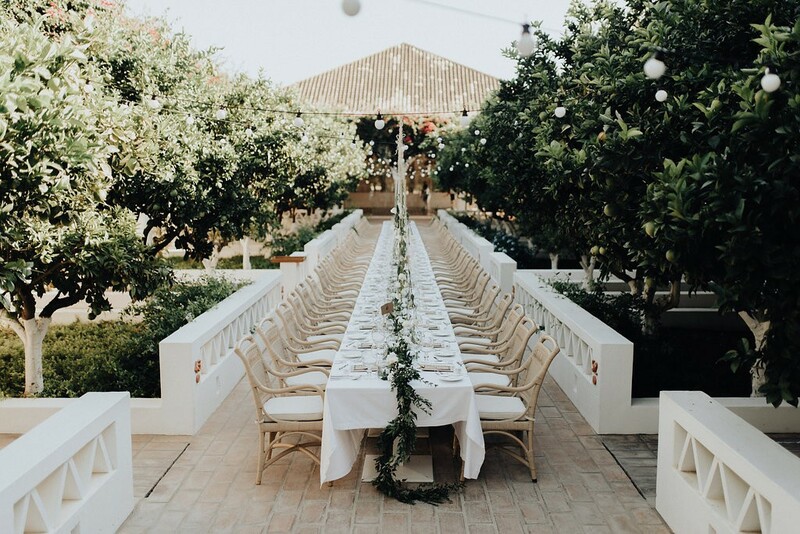 Our guests were blown away by everything on our wedding day. Every single little detail was perfect and that was all down to the great girls at Glamour. Thanks for everything ???????? 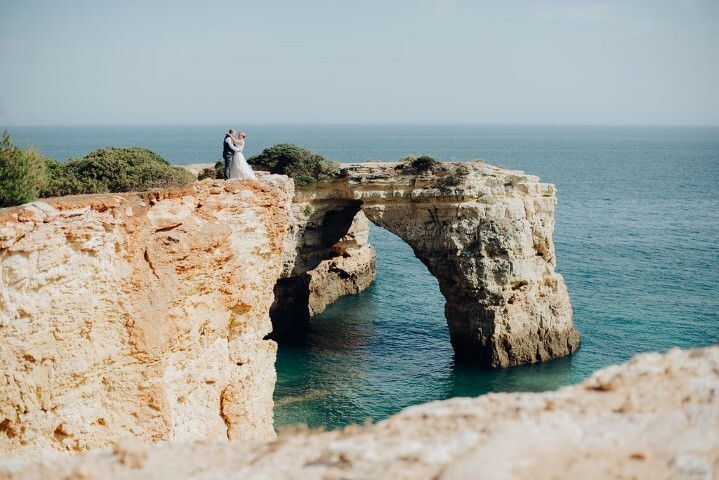 The ladies, Carin and Patricia, at Glamour Algarve Weddings were amazing from the very first email right up to and indeed after our big day! We initially contacted the guys at Glamour as they had been highly recommended from friend who had previously worked with them. 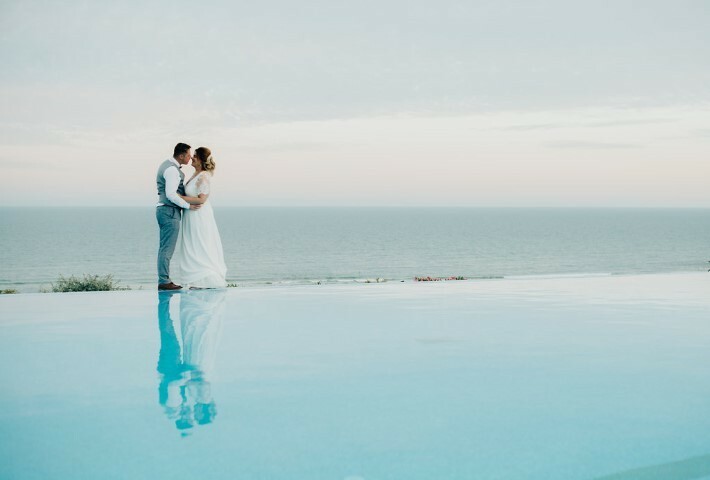 The #1 piece of advice we can give to other couples thinking of getting married in the Algarve, is to go with Glamour Algarve Wedding Planners... the professionalism, responsiveness, understanding, caring, elegance and stylish nature of Carin and Patricia is second to none. 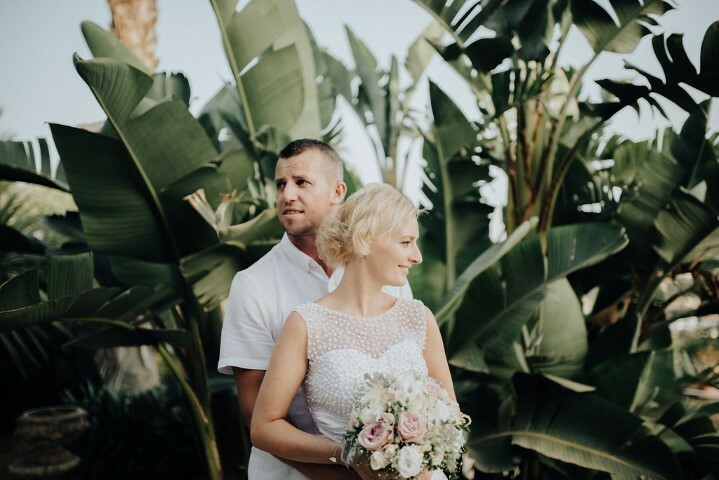 We also very much appreciated and valued their honest opinions, which we feel is very important when planning a wedding abroad. They say planning a wedding can be stressful but in all honesty we breezed through planning our big day thanks to these guys. The Glamour team really do everything in their power to ensure you have the wedding of your dreams. We really cannot recommend them highly enough, or thank them enough of giving us the day we had always wanted. All our guests were really blown away with the day, but it really could not have happened without the all their hard work. 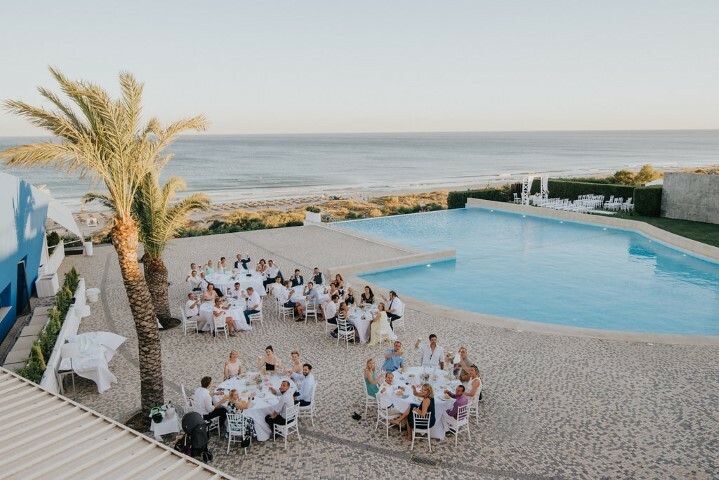 Glamour Algarve Weddings are just wonderful. From the first email, we found them extremely helpful and more organised than a lot of the competition. They are happy to work with your budget and are definitely value for money. They are responsive to emails and they certainly know the area. 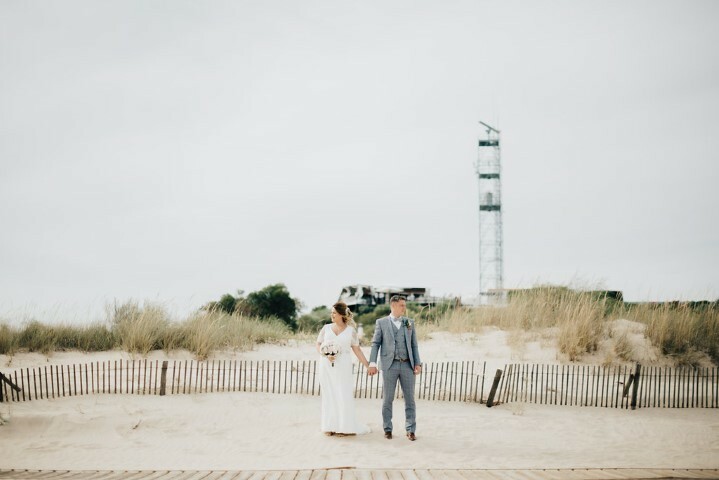 The location they helped us find was perfect, we couldn’t have been happier with it. On the day of the wedding, they worked their magic quietly in the background, not bothering anyone. Overall we were very happy that we chose them and would highly recommend. Two very competent ladies, there were a lot of emails, a few phone calls and an extra trip or two to meet in person. Patricia and Carin are very professional, very easy to talk to. They were quick to respond to any queries I had regarding planning, they sent me lots of really useful info which I kept and was able to keep dipping into. 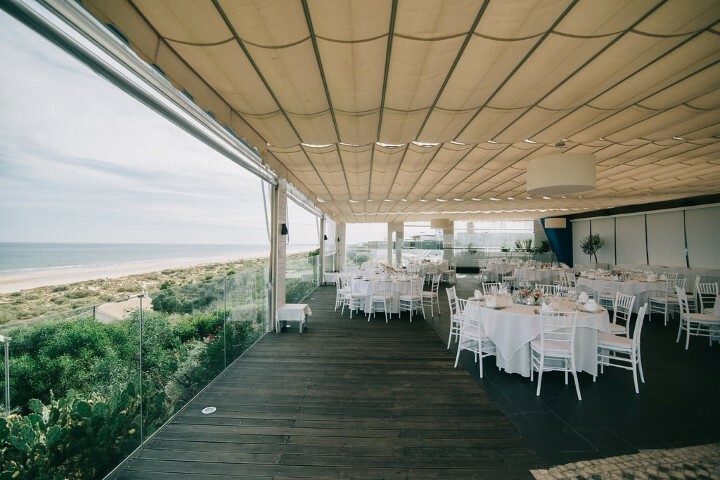 Patricia and Carin organised meetings with the venue to do food tasting, the venue which was Tivioli at Portimao was absolutely stunning, the views, on the marina where we could watch the boats go passed, when we had chance of course on the day. The food was delicious and the staff really looked after you. The ladies also organised for me a pre make-up and hair session, which I found so useful and the for the hair and make-up ladies to arrive on the day for myself and bridesmaids. They organised the cake, the flowers for the church and the photographer, who was superb. On the day you didn't notice the photographer taking pictures, so many of them were so natural. On the day Patricia and Carin guided everyone to where they needed to be, the flowers in the church were so beautiful, we had sunshine, blue skies, excellent. My husband and I had a truly magical, perfect day. 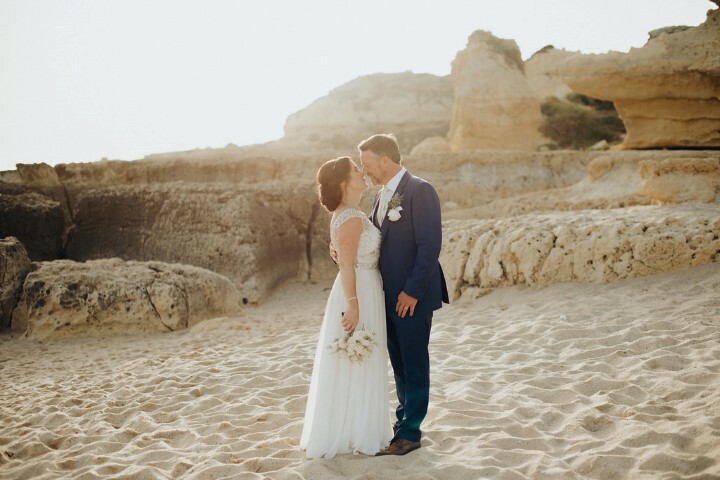 I really cannot say thank you enough to everyone involved in our most perfect day in the Algarve. To any couple who read this, I would say to you without any doubt in my mind go for it, certainly use Glamour weddings. I honestly can not fault Patricia and her team. They took all of the hassle out of planning our big day and everything was absolutely perfect. 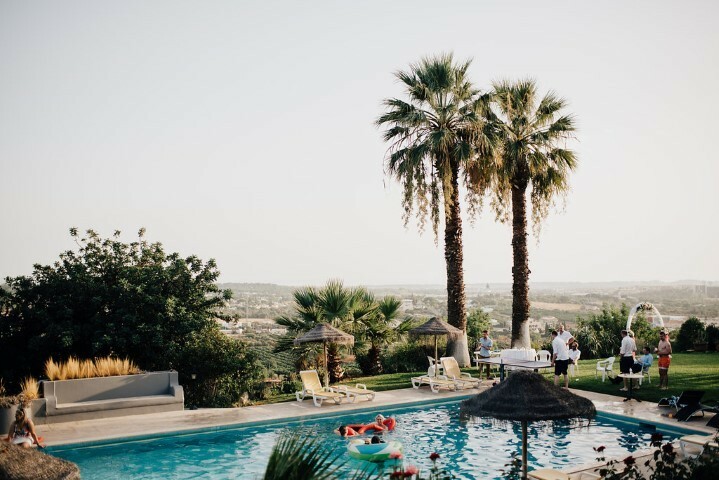 Their attention to detail is second to none and I would not hesitate to recommend them to anyone planning to get married in the Algarve. Thank you so much Patricia, we couldn’t have done it without you! We want to express our thankfulness to the Glamour Weddings team for making our dream wedding come true! Both took great care of us from the first minute and made anything possible - especially when others would have quit or suggested otherwise. 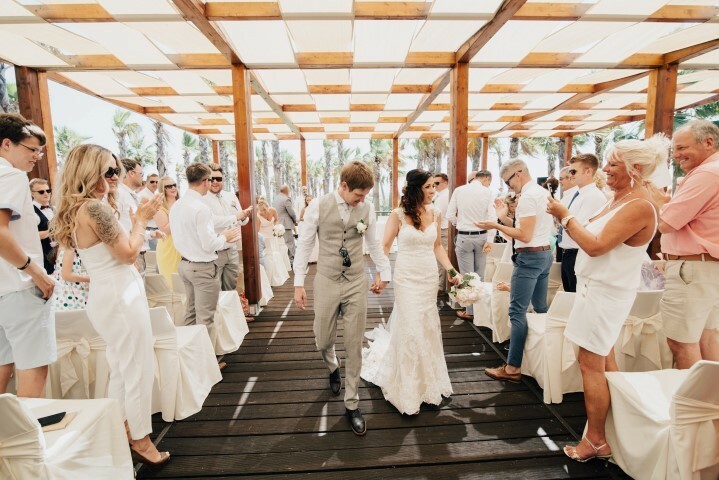 Patricia and her team were an invaluable asset for our wedding planning in Portugal. Planning a wedding while being abroad is quite challenging and the level of service and care from her team I cannot recommend enough. 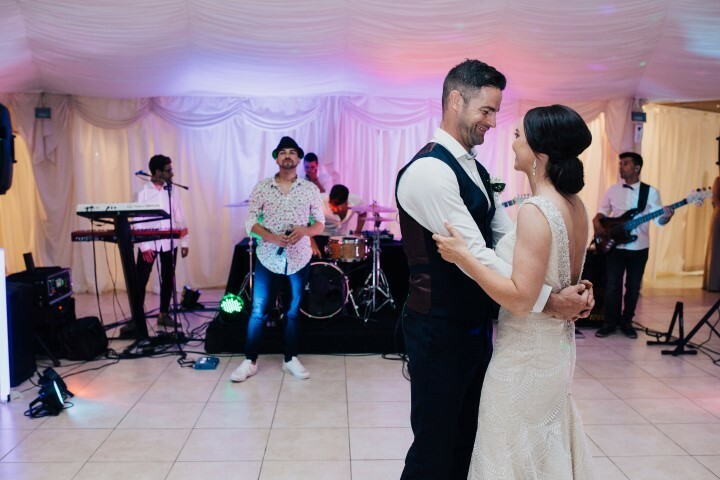 The attention to detail and recommendations were so helpful and having them there on the day was amazing, I did not have to worry about a thing and the day went seamlessly which I could not have done without them. Thank you for everything and most of all your warm hospitality and hard work. 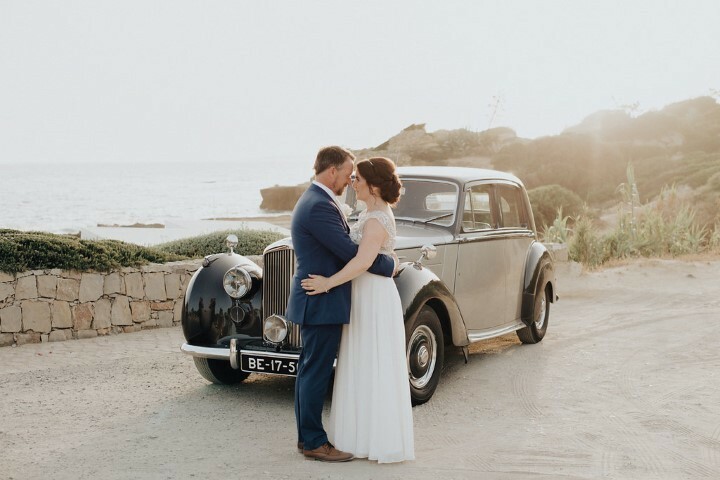 I couldn’t recommend glamour algarve weddings more! 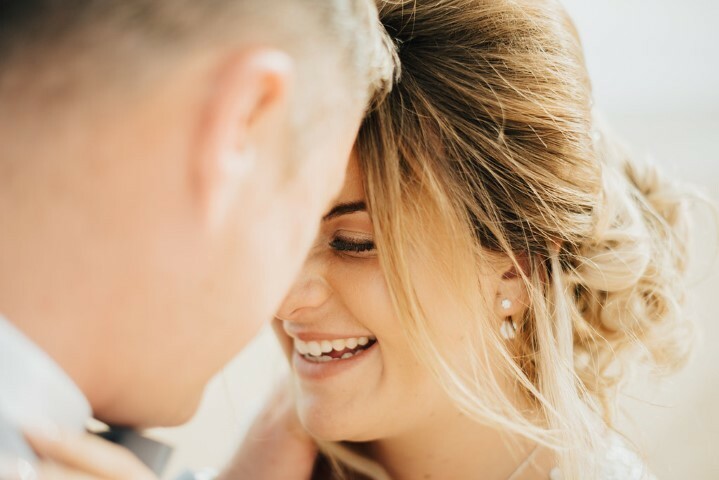 We started planning our wedding around a year before the date and we have enjoyed the wedding planning process so much because Patricia was so helpful with everything, she always had options and suggestions for whatever I was looking for. There wasn’t a single thing during the wedding that we were not happy about! All the suppliers were truly amazing. As for the wedding day itself I didn’t even dream that I could be so relaxed, Patricia and Carin were there all the time making sure everything was running smooth, all we had to do was enjoy our day! Patricia and Karin where absolutely fabulous, creative, calm adn professional. Absolutely nothing was to much trouble and they nt only became my wedding planners but my good friends too. The day was so wonderful because of the hard work and dedication the girls put in. Patricia was always available to speak, to advise and to guide and i miss planning our wedding with her. 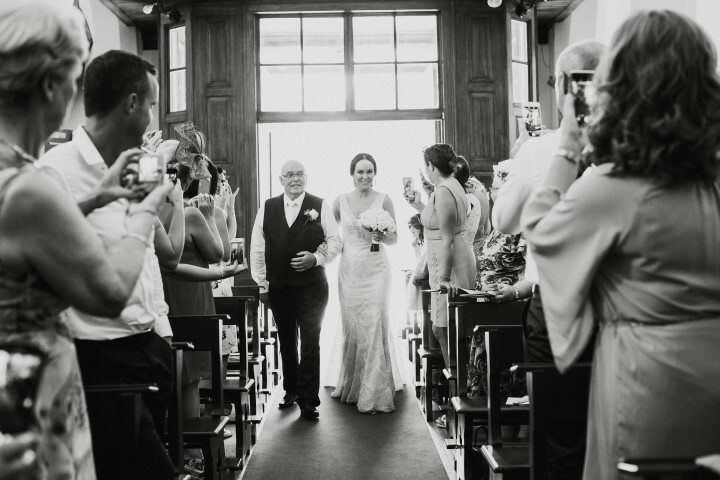 It was the most magical day and Glamour Weddings couldnt have made it any more special. Couldnt reccomend them anymore!! Carin and Patricia were amazing from the very beginning their wealth of knowledge and professionalism put me right at ease. The ladies went above and beyond before and on the wedding day with no task too big or small. All of our guests could not have praised them more highly for how amazing they were. We can’t thank them enough and will never forget all the work they put into our big day to make it extra special. 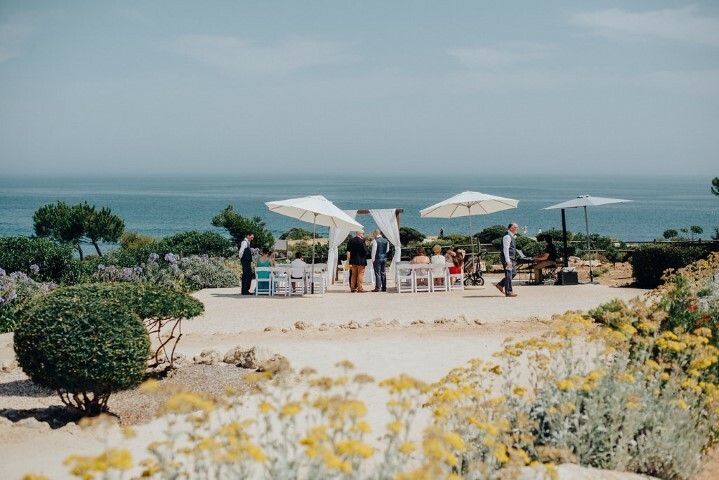 We would recommend glamour algarve weddings without a second thought to anyone considering getting married in the algarve. 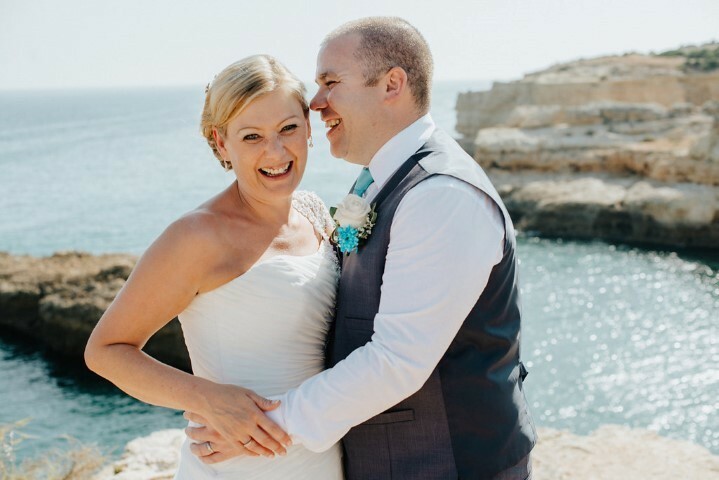 We met Carin and Patricia at the Wedding show in Dublin and booked them after chatting with them and explaining what we were looking for, they were then our wedding planners and we couldn't have done it without them. From every email to text message I sent Carin was so quick to respond. To meeting my dad out in Portugal when he brought wedding bits over for us. Nothing was a problem. The morning of the wedding they were there check everything was going according to plan and on time. And throughout the whole day they were there keeping everything running smoothly dealing with the suppliers and hotel, we could just sit back and enjoy our day. 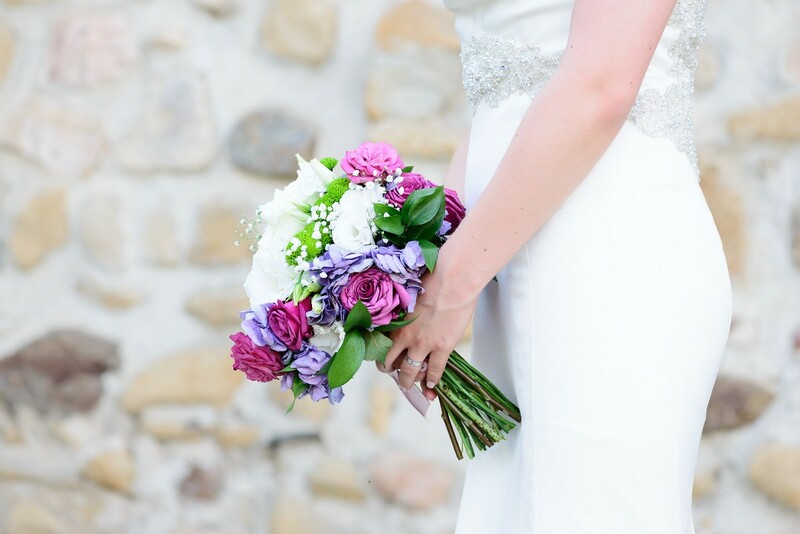 I would highly recommend Glamour Algarve Weddings, the girls are fab you will definitely be in safe hands. If we could go back and do it all over again we would not change a thing. Carin and Patricia were absolutely fantastic. From the very first day we met them until the day we got married. They were constantly in contact. Sorting out any query we had and sourcing every idea we had. I couldn't recommend them highly enough. Thank ye for making our day so special. We had carin as our wedding planner and my word she was amazing! From our very first meeting with her in Portugal we instantly felt at ease with her planning our wedding. We met up twice prior the wedding day just to decide on the big stuff such as venue and florist etc. Everything else was spoken about over email. Carin was so helpful and i can't even describe how perfect our day was. I was very sceptical about it being 'the best day of your life' but thankyou to Carin and Patricia it really was. Without them all those small details that make a wedding so special and personal wouldn't have been there! They are so good at what they do I would recommend them a hundred times over! 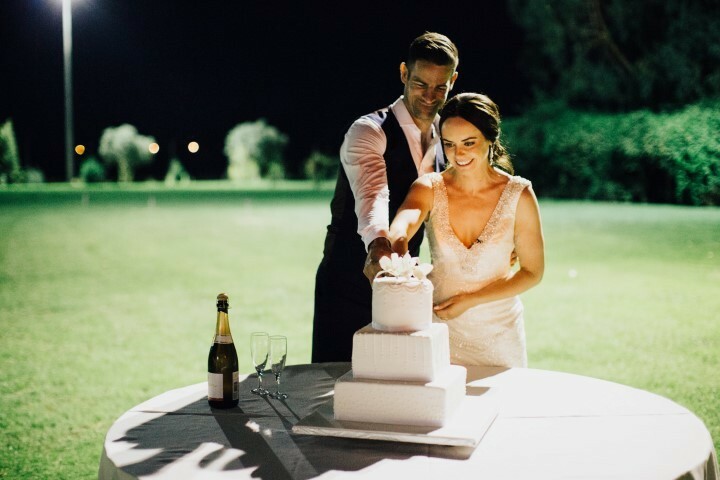 There was no question too big or too small for them and they forever gave us advice and recommendations throughout the whole year towards planning! Saying thankyou to these guys would never be enough. I would say if you were to have a wedding planner in Portugal you should always have these two wonderful ladies! Patricia & Carin are THE BEST!! We couldn't have asked for better people to organise our wedding. They removed all the stress that goes with getting married and their attention to detail made sure that it really was the best days of our lives!! Our guests were all so impressed and we only have Patricia & Carin to thank for that. If only we could do it all over again. It was wonderful!!! THANK YOU!!!!!! 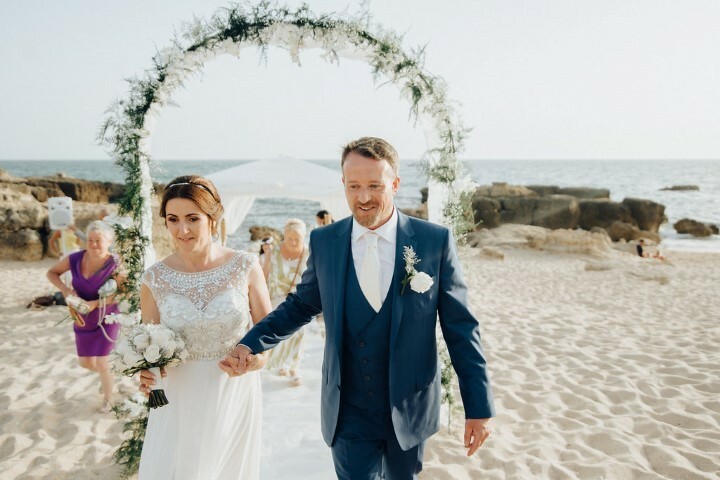 From start to finish Glamour Algarve Weddings were professional, extremely helpful, always there for a quick reply when needed. Every recommendation was spot on. We had our dream wedding, and had no stress of the planning it was such a pleasure. 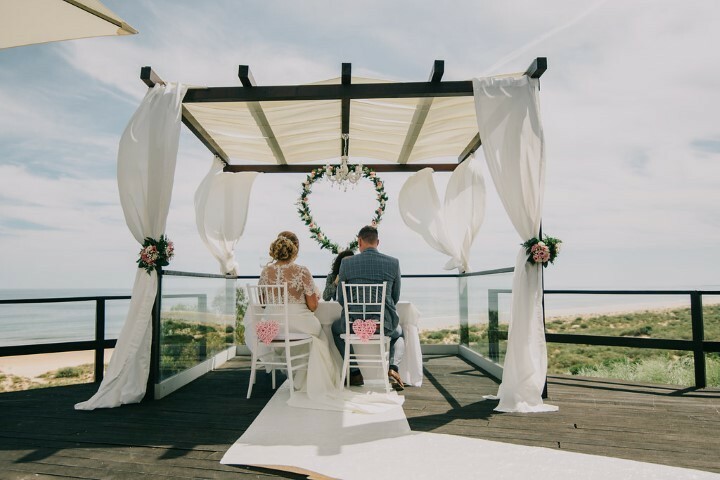 We recommend Glamour Algarve Weddings 100% And would like to thank them again for everything they did for us from the start to the finish they are truely amazing. 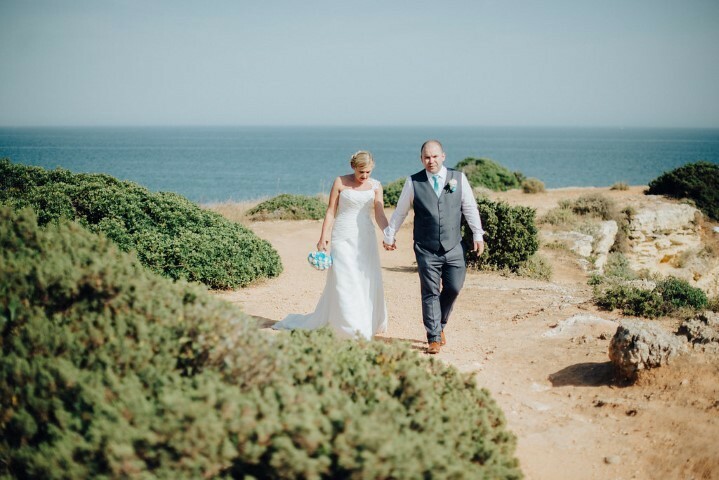 We got married in September in the Algarve. From the beginning I had some trouble getting responses from some wedding planners in the area. Carin always got back to me within the day which really helped with the organisation. She was an absolute pleasure to deal with throughout and I always felt my wedding was being looked after. I can't fault these two for prodessionalism on the day. Everything went seamlessly and we had a ball. I would have no hesitation in recommending them to any bride. Carin and Patricia of Glamour Weddings are the two most amazing wedding planners/people and friends that you will find. We booked our wedding on February 2016 for 8th of September 2017. They were amazing at responding to email and what's app and meeting up with us when we visited Portugal. It made the day and build up stress free. They recommended the best suppliers and all worked together brilliantly on the day. I consider them friends for life and miss our emails. No request was too big or too small for these ladies. If you are considering getting married in Portugal I would 100% recommend these ladies without a doubt! Back to normality but with some wonderful memories to treasure. Our venue let us down 3 weeks before the wedding but thanks to Carin and Patricia we still had our dream wedding and I wouldn’t change anything about it. My favourite wedding story now is how amazing Carin and Patricia were to get us Suites Alba at such short notice. It was fabulous. 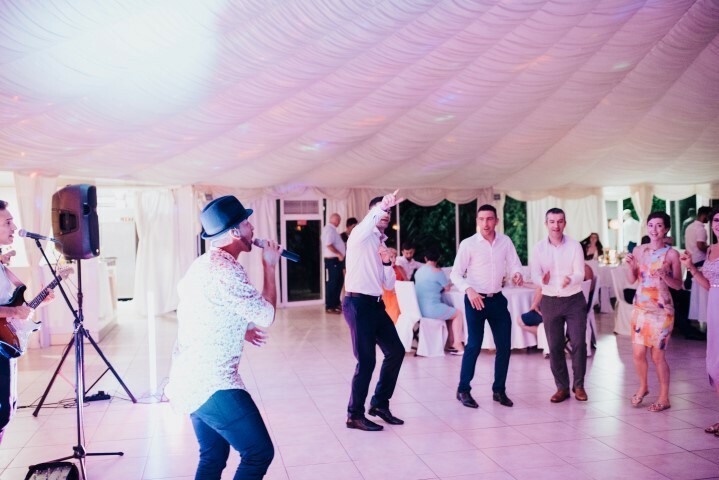 Some of our guests said it was the best wedding they’d ever been to. It certainly was for us! The kids keep asking if we can get married again. We wouldn’t think twice about recommending these fine ladies. True professionals. I would highly recommend glamour weddings as they made our whole wedding day an amazing, beautiful stress free day. 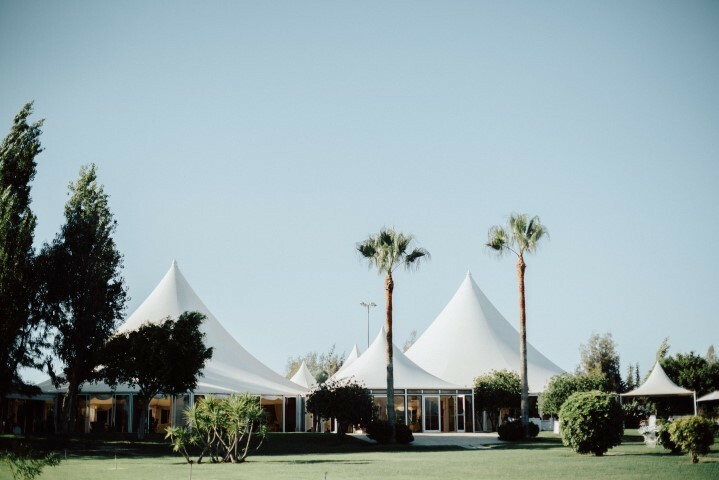 The ladies at Glamour absolutely nailed our brief - from the first email to the viewings around beautiful venues - through the costings, the choice of suppliers and up to the day itself - we were helped every step of the way. Our wedding day was a dream and exceeded our expectations. We had absolutely nothing to do other than enjoy ourselves! Our guests loved it all. Thank you so much! Be sure to ask these classy, stylish ladies to add a touch of glamour to your day! If your thinking of planning a foreign wedding please contact Carin and Patricia at Glamor Weddings. They are both fantastic and have great suppliers to recommend. Best decision ever to get married abroad. As soon as we contacted Glamour we knew the planning was going to be seamless. Carin immediately understood what we were looking for and surpassed all expectations throughout the whole process. There was no stress at all. Always very accessible and very quick to come back to any questions. On the day both Carin and Patricia were there for the whole Day and were relieved by their colleague Isabel who stayed til the early hours. I have never seen such dedication, enthusiasm and professionalism from a service provider. The day was fantastic, better than we could ever have imagined. I only wish we could do it all again. Thanks again Carin and Patricia. You are phenomenal. Patricia and Carin made everything so easy. We had the most amazing week long celebration. A fairytale come true. Our wedding is in June 2017 - these ladies are sooooooooooooo amazing cant do enough for me always at the end of the phone or email...Some planners I contacted made it feel like a factory and that I was a number - not with these guys - couldn't recommend them enough! The decision to approach Glamour for our wedding was made, due to the friendly nature of Patricia at a wedding fair in Dublin. 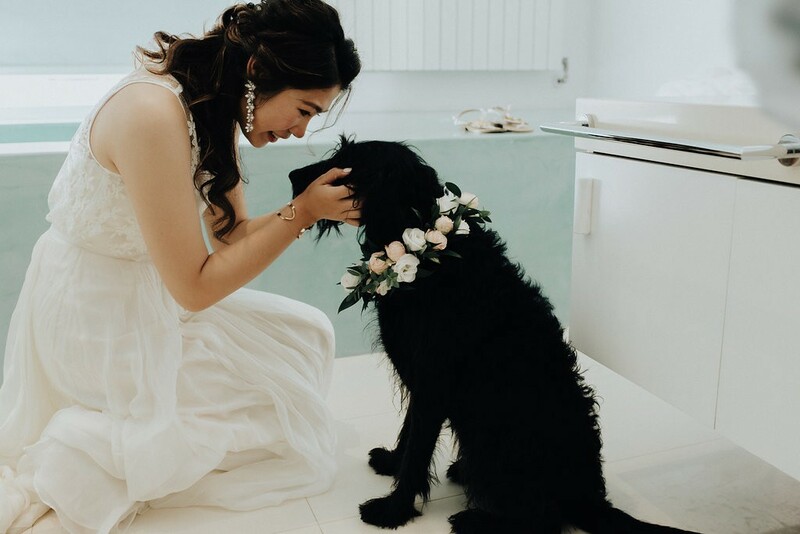 Throughout the whole process, from the planning stages to the big day, the girls were very accommodating, trying their hardest to make our dreams a reality. Regular contact via email and video calling ensured the important details weren't missed, and provided positive reassurance along the way. On the day of our wedding Patricia and Carin were there for the whole day, helping all the time, to ensure the day ran without a hitch. 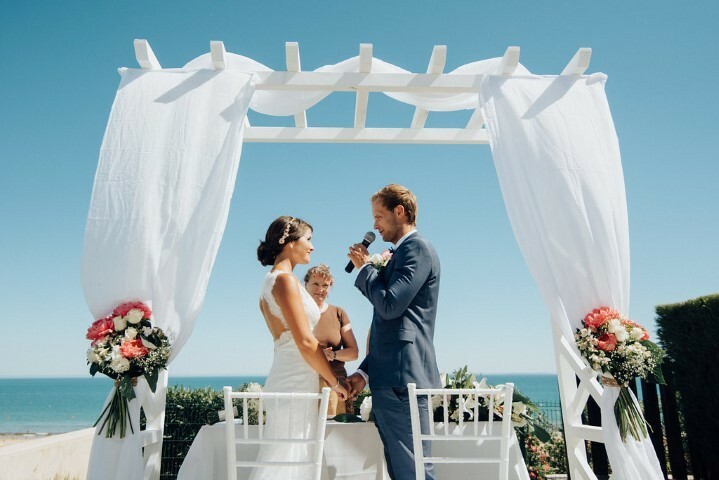 Our wedding day was truly a wonderful thing, with amazing weather in a beautiful location, and our guests are still talking about how perfect the day was. 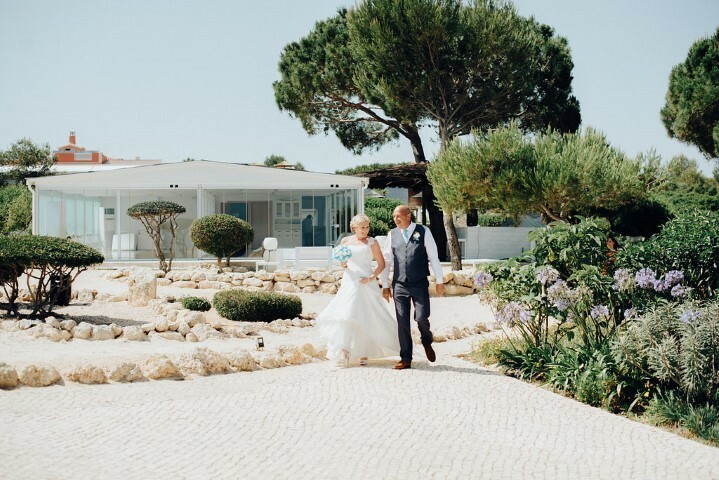 We will be forever grateful to the team at Glamour Weddings Algarve, and would wholeheartedly recommend them for your dream wedding in the Algarve. 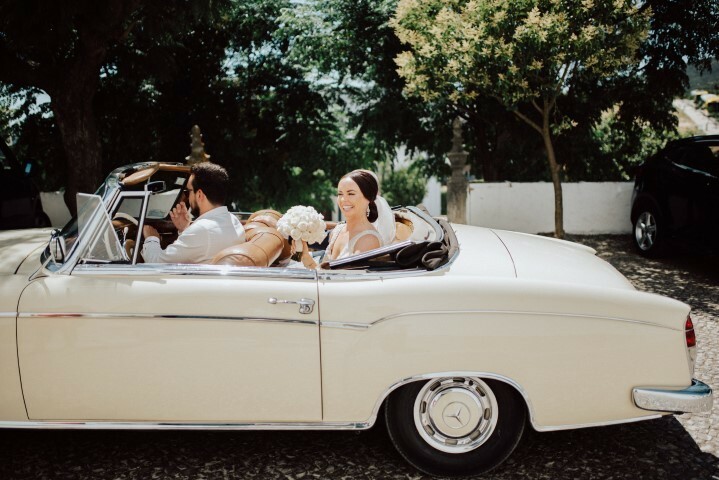 From the minute we spoke to Glamour Algarve Weddings on Skype, we knew we would be in extremely safe hands. Patricia and Carin were simply brilliant from the start, consistently through to our big day and even now, still helping us out and answering all our questions! The lovely ladies are professional and very efficient whilst being friendly and super fun! We had a completely stress free ten months planning our wedding because Glamour took care of everything, they literally did all the hard work for us, making everything so easy. Our wedding day was utterly perfect and this is pretty much all down to the planners we chose. We had everything we asked for and more! Lots of things we hadn't even thought of, or didn't think would be possible - they made it happen! We feel we have made two great friends and were so grateful for everything they did, my husband even mentioned Patricia and Carin in his speech. I cannot praise Glamour Weddings enough and whenever we talk about our wedding to people we always mention how amazing they are! To say we recommend them is an understatement, but we certainly do. Thank you again Patricia and Carin and we will see you when we come back to The Algarve for our Anniversary! Frances & Gareth McBain. From the moment I met Patricia in the RDS in Jan 16 I knew she was the wedding planner for me! 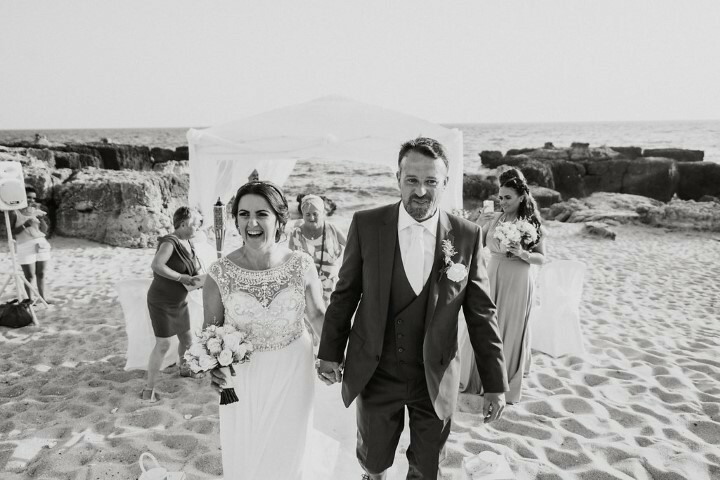 She immediately put me at ease, listened to everything I said and gave me so much information on getting married in the beautiful Algarve. Within a month myself and future husband had travelled over to Portugal to view potential villas to get married in. Again Patricia had taken on board everything we wanted and picked the perfect locations. The next 7 months of planning involved a lot of late night emails, text messages and a couple of Skype calls. Patricia was always there to advise and offer solutions to any problems I came up with! These planners are incredibly flexible and never tried to push a pre-packaged wedding format on us. Our wedding truly was tailored exactly to us and nothing we asked for was too much hassle. One of our concerns about getting married abroad was not being able to trial everything e.g. food, hair and makeup. Every service provider that they recommended were spot on. 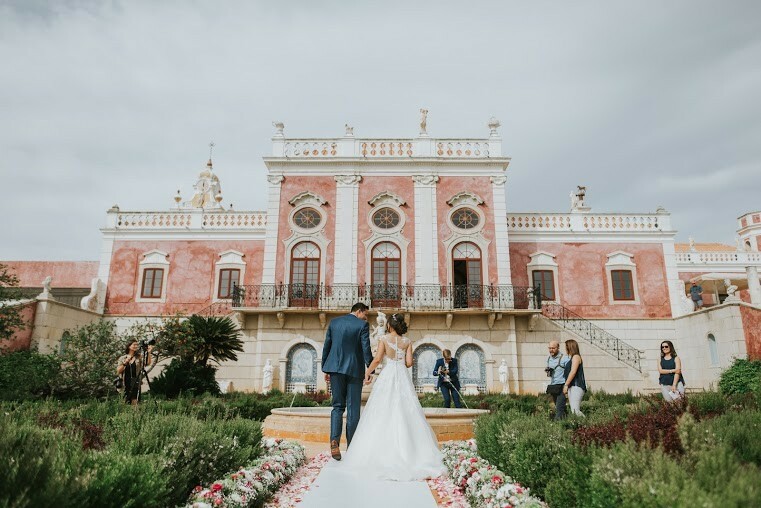 These girls are the best at what they do and I would highly recommend them to anyone considering getting married in Portugal. From the very first Skype call to Patricia and caryn I just loved them! They were very helpful and warm girls. They explained everything and nothing was a hassle. Any email or question was answered very quick! 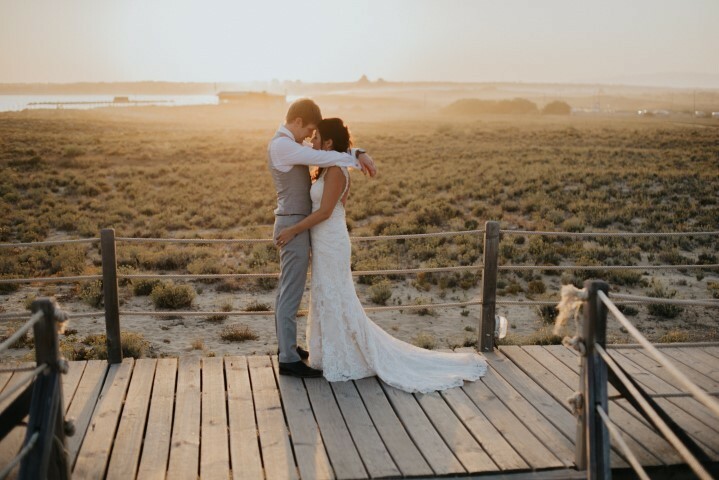 They made our dream wedding possible and if you are going to get married in the beautiful Algarve then please do yourself a favour and get in touch with Patricia and caryn! Well what can we say, these girls are the best in the Algarve. We knew from the first phone call that they were the Wedding Planner for us. They were the third planner we had got in touch with so it really was Third Time Lucky for us. Carin and Patricia were always so professional from that first skype call, to our subsequent visit to the Algarve right through to wedding day itself. They never put us under any pressure to use a certain supplier or go with additional costs, in fact they were very helpful in helping us decide where our money was best spent. In our view they dont get enough credit for what they do, if you are considering using Glamour you are in very safe hands. You will not only get a professional, prompt and efficient service but end up with two friends who you will be in contact with forever. Two beautiful souls inside and out. We are so glad we hired them and had them with us on our special day. 3 months later, our family and guests are still talking about their fondness of the girls and the exceptional service they provided. 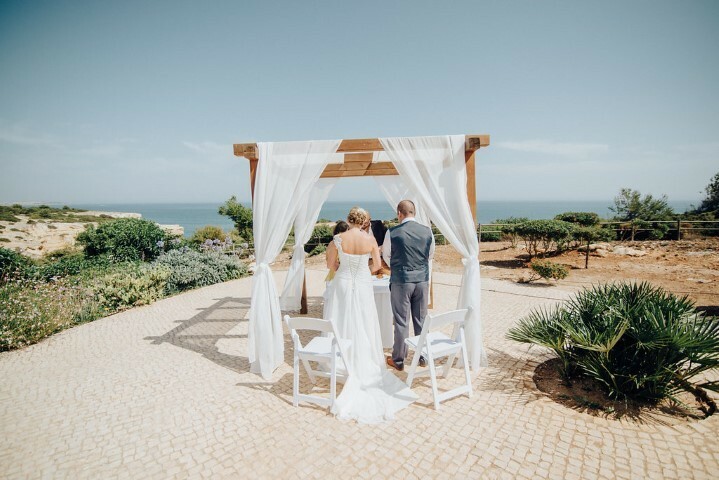 Making the decision to get married in the Algarve was the best decision we made. Patricia was recommended to us by a hotel we were considering, and she has been so amazing at organising everything way beyond our expectations. 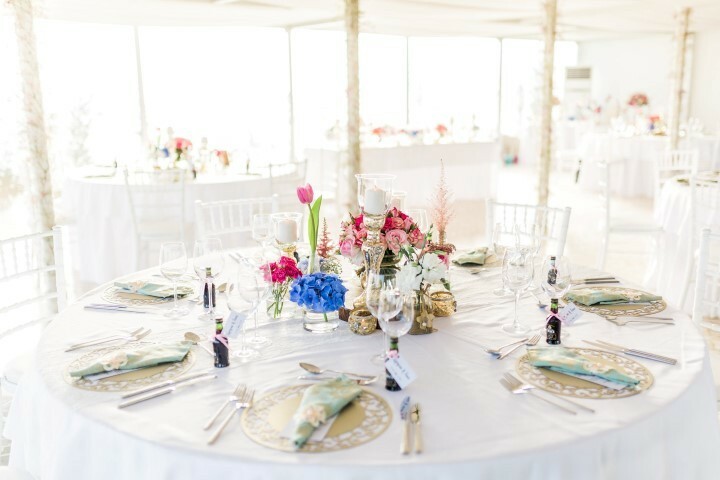 She has wealth of experience dealing with all types of unexpected scenario while planning and during the wedding, and very efficient at getting things done to a very high standard. She is probably the only Portuguese I know would reply to emails after working hours to put your mind at ease. 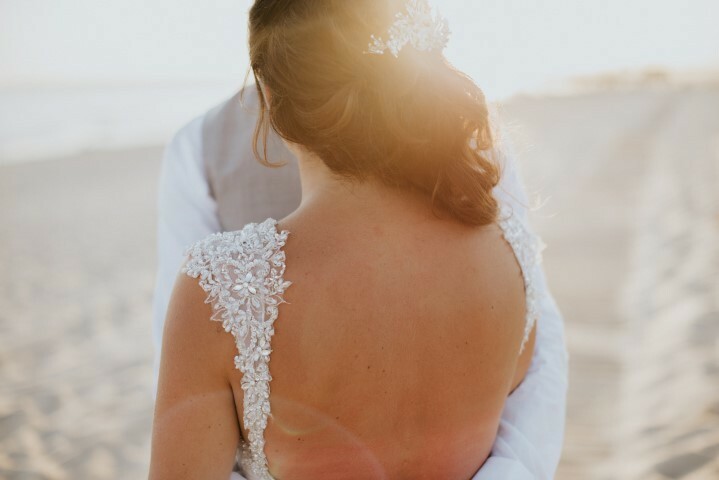 My husband and I both really enjoyed her service and would definitely recommend her to any couples who are thinking of getting married in Portugal! 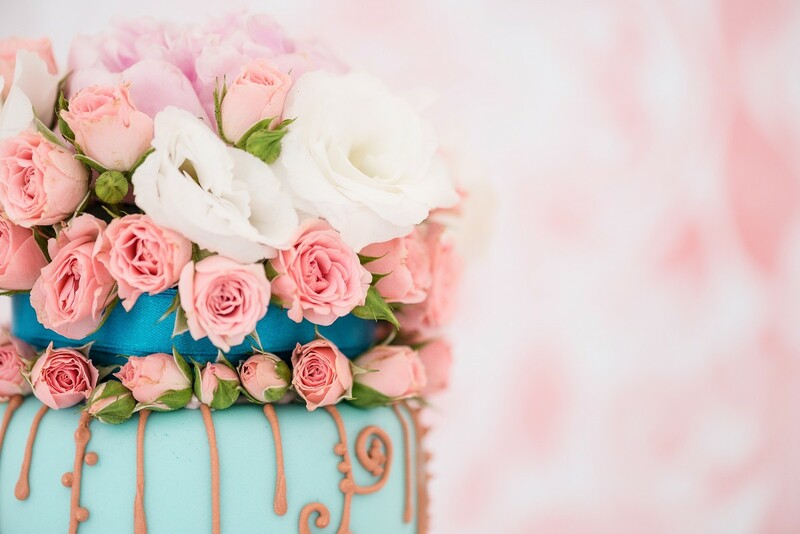 Patricia & Carin are so helpful and made our special day amazing, they are always on call and very professional. 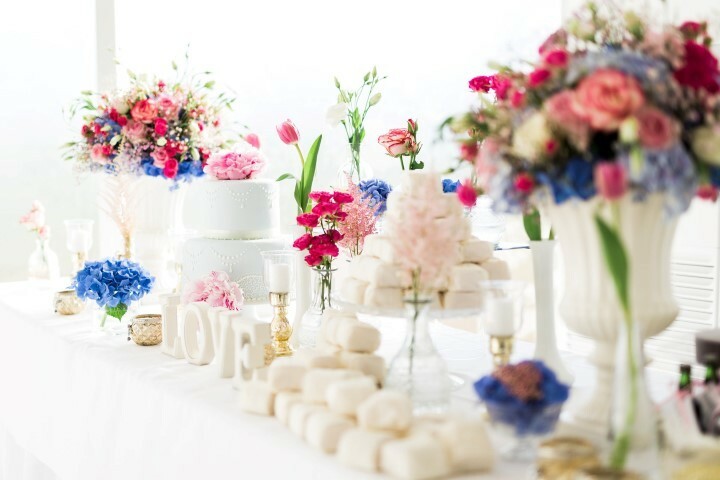 They have great supplier to offer and always help to make your day perfect with whatever you need, which helps so much with taking the stress out of organising the wedding. A huge thank you from us both it was the day we both dreamed of. 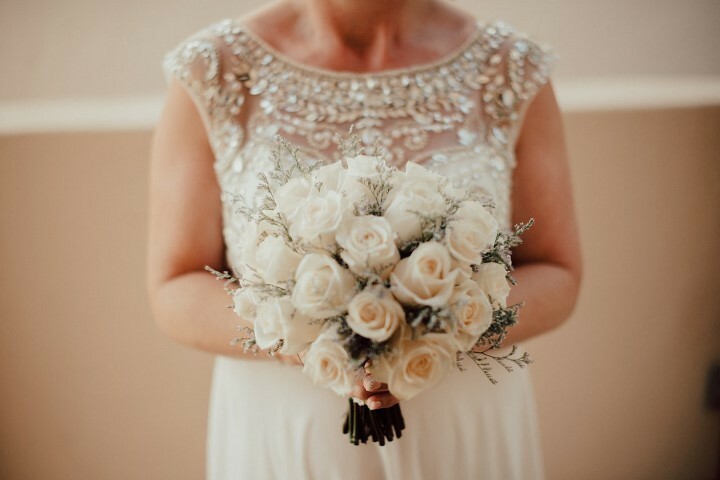 Absolutely amazing service and feel so relaxed and happy with our big day, Glamour are so helpful and felxible with everything and nothing is too much, they are happy to help with anything and provide great feedback and options for suppliers. So happy that I booked our wedding through them! Where do we start when describing Carin and Patricia! From the first time we spoke I knew our wedding day was in the best hands. The warmest, loveliest, most hard-working, efficient and professional pair we cannot say enough good words about these two. 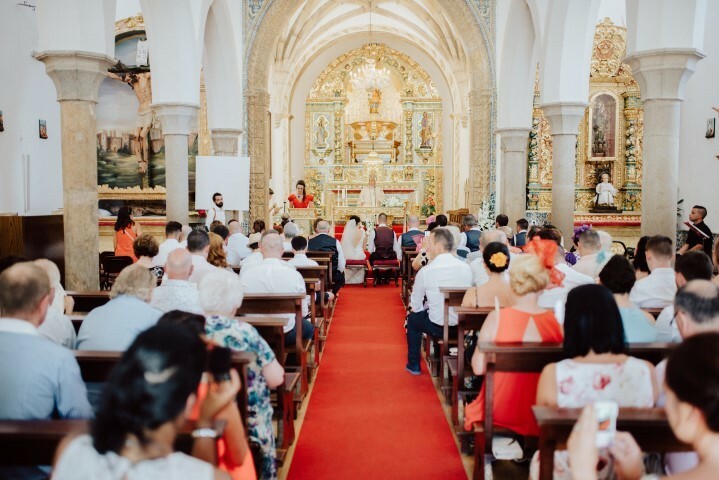 I would whole-heartedly tell any couple getting married in the Algarve to use Glamour Algarve Weddings without a second thought as you will not find another service quite like it. 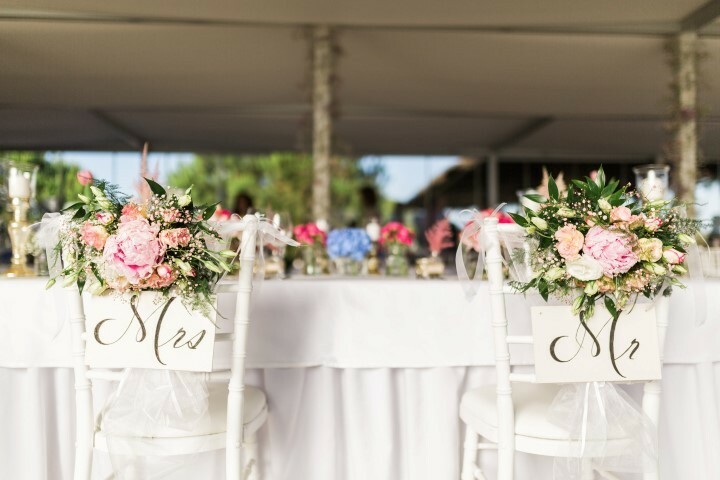 They go above and beyond to provide a very personal wedding planning service, finding the best venues and local suppliers, offering their own professional opinions while at the same time making sure every tiny detail is exactly as you want it. They are always on hand- day or night and they keep you sane when you start to go crazy!! 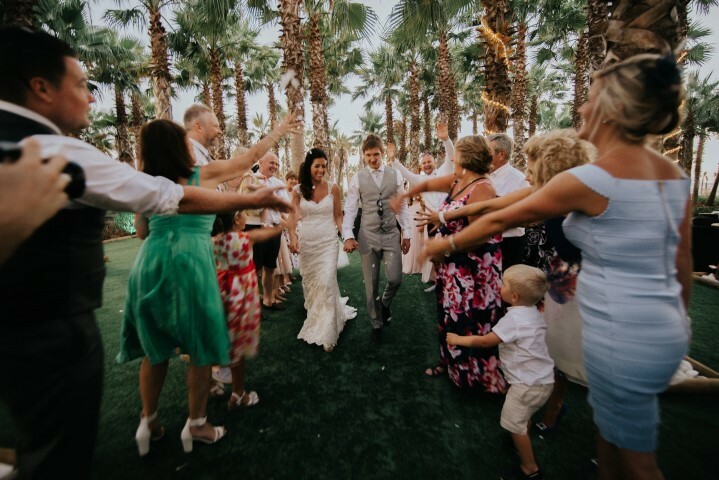 They welcomed all of our friends and family on our big day and made sure everyone was happy, so much so that all of our guests were raving about how wonderful they were. We truly would not have had the magical day that we had, nor the beautiful memories we made without them and all their hard work and we can never repay them for that! The two specialists in Weddings Patricia and Carin organized such a wonderful and unforgettable day for us. Although we were communicating most of the time by Email (because we Live in Germany) they fullfilled all our wishes. At any moment they tried hard to answer all the questions regarding documents, Decoration etc., so they deserve recognition for that!!! All the other persons, like the photographer, the staff of the Wedding Location, the florist etc were very professional and good recommended by Carin and Patricia. Best Choice! 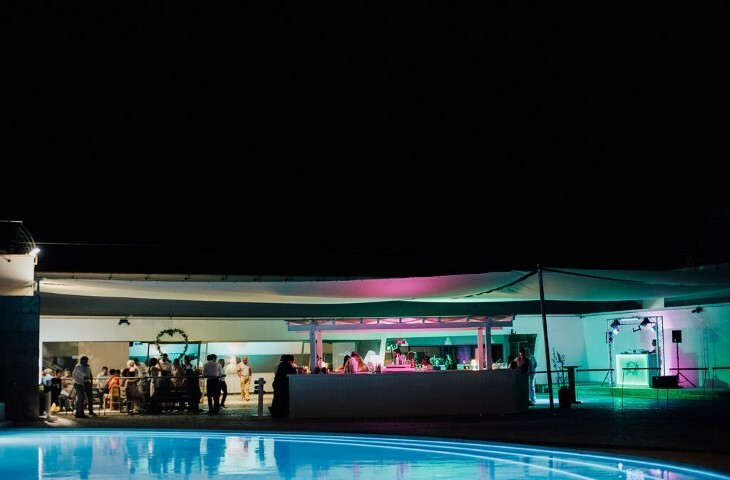 We can strongly recommend "Glamour Algarve Weddings"! We would say "yes" again with you! Thank you so much!!! 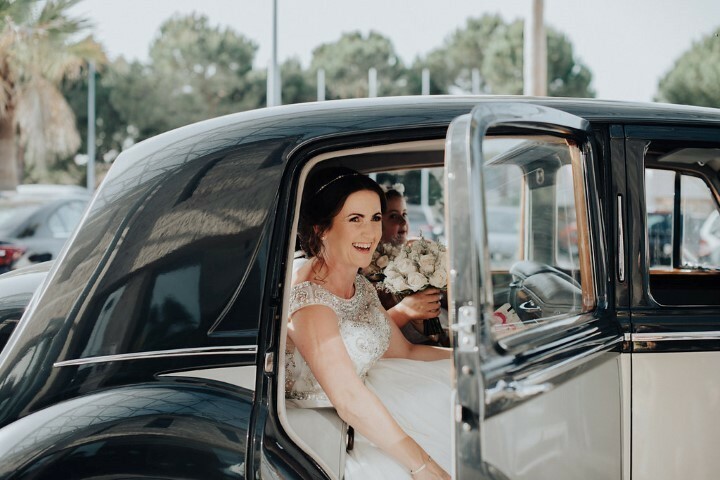 Best decision we ever made was to book with these beautiful girls who are Glamour Weddings Algarve! 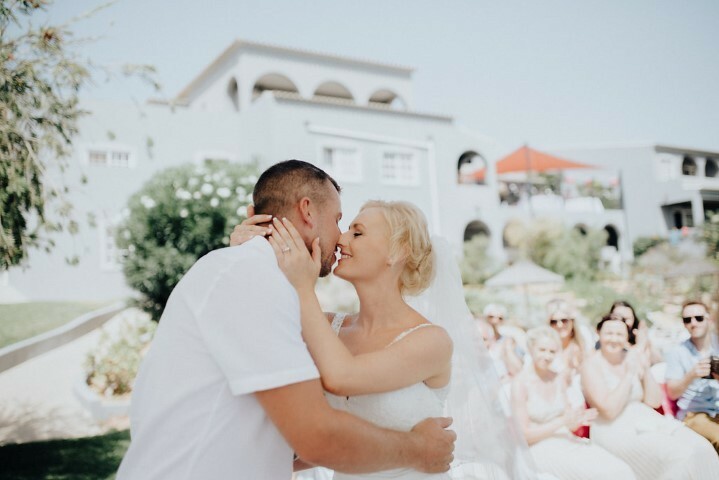 We wanted a relaxed and intimate wedding (there were 27 of us in total) and Patricia & Carin fully helped deliver exactly that. They kept in constant contact, helping me make decisions, sending me pictures, giving me ideas and everything ran so smoothly and stress free. Even when I was getting nervous on the actual day of the wedding they kept me calm!! On the actual day they were there every step of the way, guiding us through every single process. They even had a great rapport with our guests who also said how lovely these girls are. 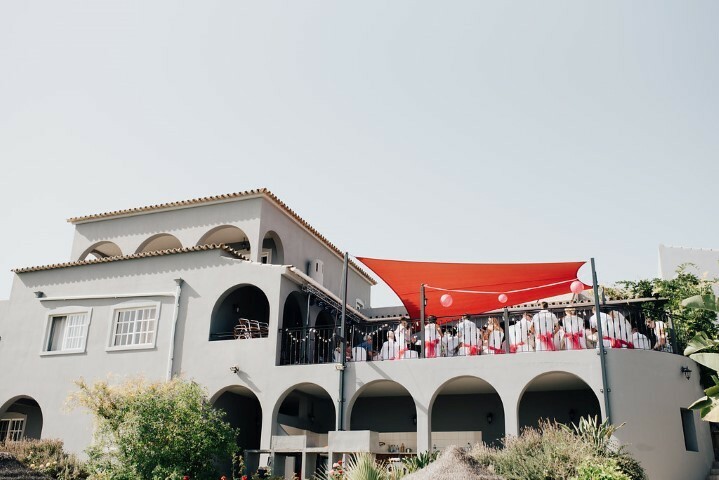 Our outdoor wedding at Suites Alba couldn't have been more beautiful, the views were absolutely breath-taking! We had a Pianist playing throughout our ceremony and hearing him play our songs had most of our guests crying with emotion! He was fantastic. Our photographer Joao Mascarenhas is one of the nicest guys you could meet, he made us feel so at ease even though we both can be quite camera shy! 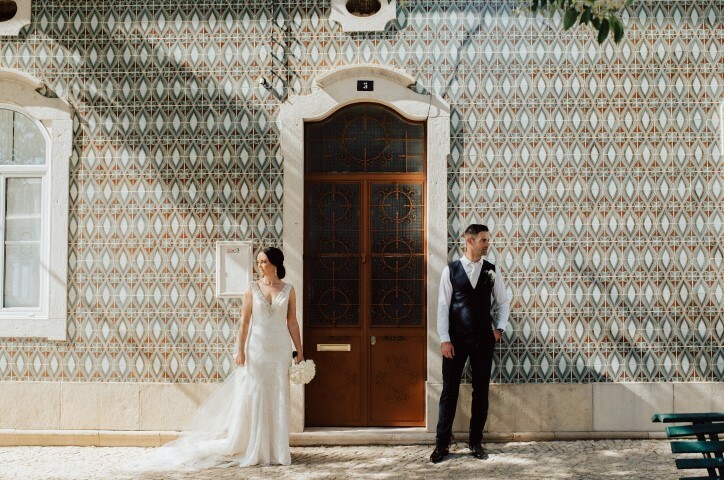 We had our wedding meal at Restaurante Casa Da Fonte. The food was fabulous and the staff couldn’t do enough to help, they were so friendly and always on hand to serve everyone in a timely manner. Considering neither of us had ever been to Portugal before, it definitely more than lived up to our expectations and we certainly couldn’t have done it all without Patricia & Carin. Getting married there was just amazing. My only regret is that it is all over now! I would so love to go and do it all over again, it was just perfect and I wouldn't change a single thing. Dear Glamour girls, you are amazing!! We are so happy to have met you. 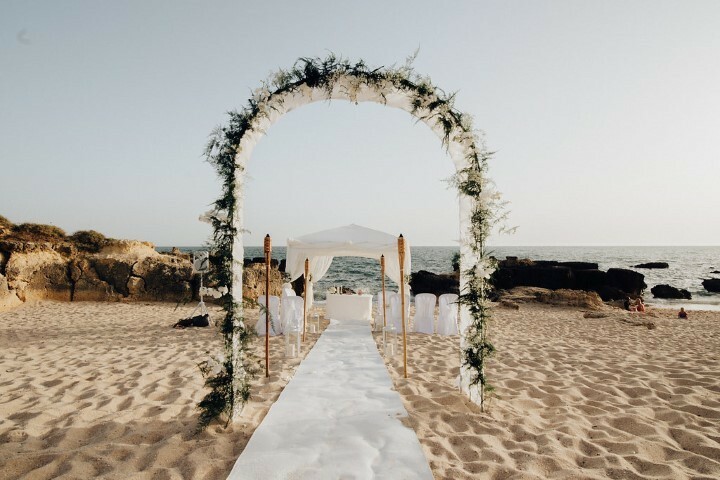 - our case: we live in Switzerland and wanted to make a civil ceremony near the beach in Portugal. So Algarve was our choice, but none of us is from Algarve and so no idea what / how to do. 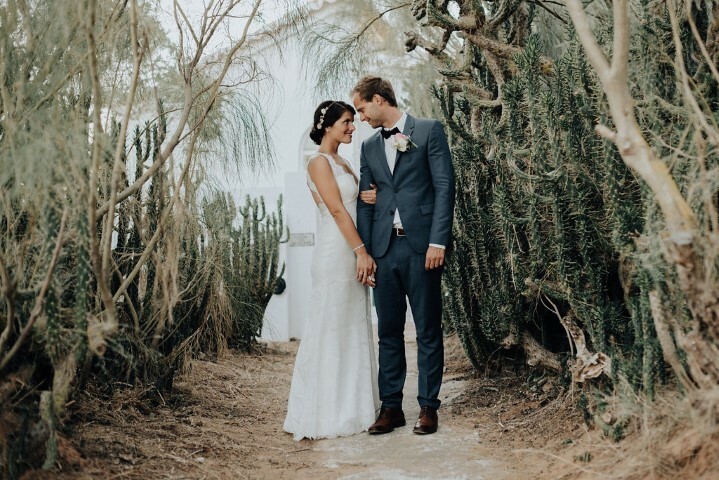 - how we met: a friend told us about Carin and Patricia, saying that they were good planning weddings, working with the couples and the suppliers. We send 1 email on a Sunday evening and we got immediately an answer. We organized a Skype call for a day around 17h. We skyped till late =) was a very nice. Patricia and Carin are so, so sympathic and have such a funny humor, and they are very, very professional and competent. - how it worked: in the first skype call we explained our idea, dates...and after that we started to receive the informations, suggestions, ideas, offers, costs analysis. We were constantly having contact per email, whatsapp, skype calls. We visited Algarve 2 times to see the places, and make some decisions. Patricia and Carin were taking care of our visit, showing us all the places and people (photographs & videographs, music, lawyer, hairdresser,...). Thank you sooo much. - how it ended: we were in Portugal some days before and had the last meeting. Everything was organized has planned, so we could enjoy the days before, instead of being in stress. The big day everything went perfect! Patricia and Carin were all the day with us but always 2 steps ahead organizing and controlling all the details. We were having a beautiful day, enjoyed with our guests and didn't need to bother with anything, because...they were just there! - how they are: They are very professional and competent. They have a good creative side and are very quick with the communication. They are also good advisers and under pressure they continue smiling. Keep Happy - making happiness happen! 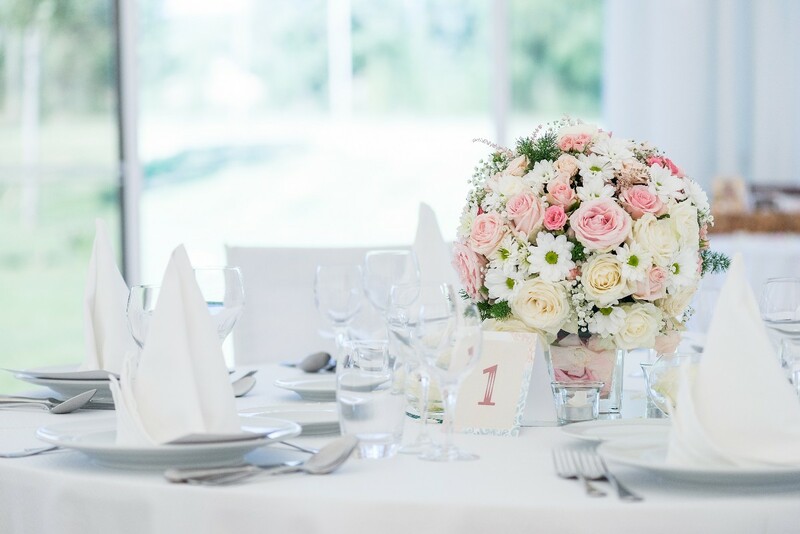 Plan everything with time and consider the Wedding Planning Services, because you willbe sure that not a single detail will fail...and your day will be surely P E R F EC T!! 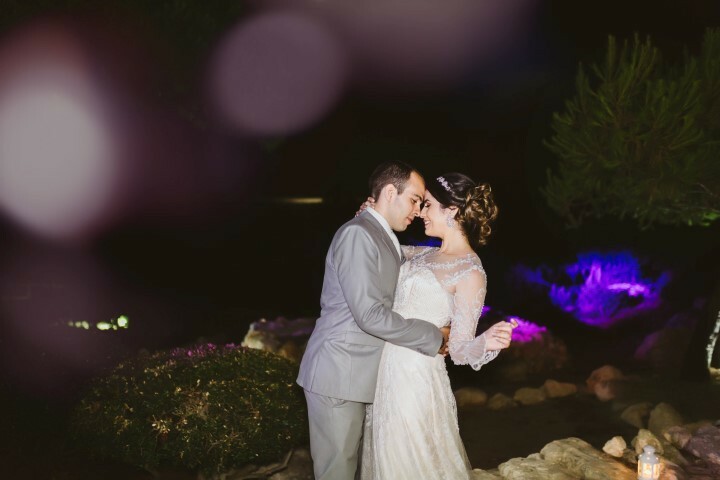 We chose, Carin and Patrícia, from Glamour Algarve Weddings, because of their professionalism and experience in the weddings planning. We definitely recommend them to all brides and grooms. 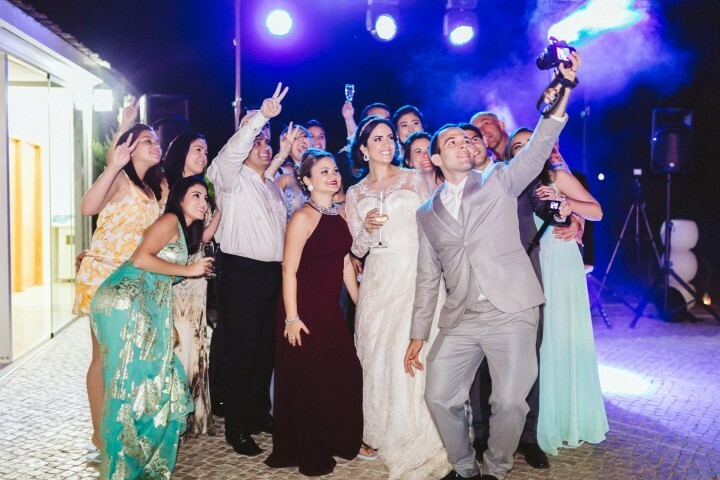 With them we can assure you’ll have the perfect and magic day that you’ve always dreamt of for your Wwedding Day. Always present and tireless, they guided us from the very first moment of the planning till the very last moment of the Wedding Day, welcomed our invitees and assured that not a single detail was missing. 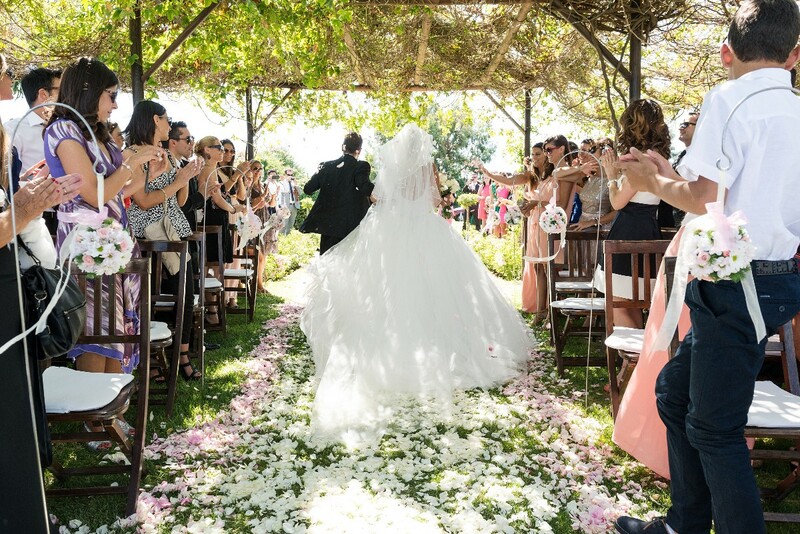 More than Wedding Planners, we found real Wedding Fairies, that became friends for our lives! !